Africa is a place in name alone. The land and continent that is Africa is vast, the second largest and most populous place on Earth, home to over a billion people, thousands of ethnic groups, and hundreds of important contributions to civilization. Honestly, we could do a top 50 or 100 World Heritage Sites, and we probably will touch on some of the lesser known ones soon. While there is never a reason needed to travel, if you are looking for some justifications for your next plane ticket, here are 15 of the most impressive UNESCO World Heritage Sites in Africa. One of the most well known UNESCO Sites in the world, the pyramids in Egypt seem to have stood watch over the Sahara and Nile since time immemorial. 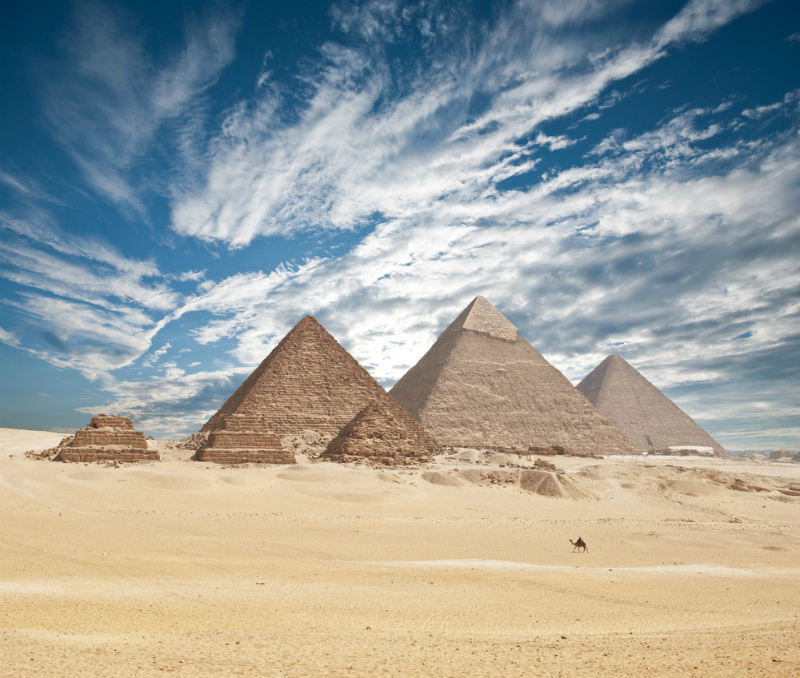 Out of the Seven Wonders of the World, the pyramids at Giza are the only ones still in existence. The pyramids are host to temples, tombs, funerary monuments, and the nearby Sphinx. While Cairo has slowly encroached upon the site to within meters, the Great Pyramids will no doubt continue to draw visitors for as long as they stand. 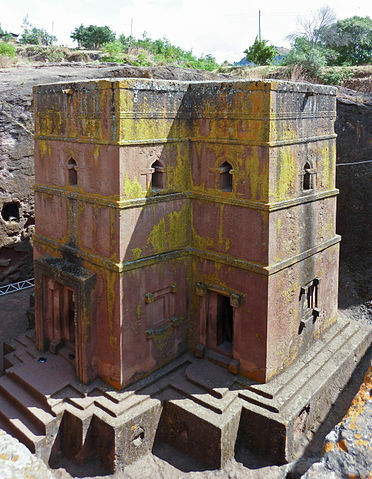 One of Ethiopia’s most well known attractions, the rock hewn churches of Lalibela date back nearly 1000 years. The 11 churches are said to be laid out in a way that pays homage to Jerusalem, the ancient center of Christianity. Home to ancient Christian relics, the churches were carved straight out of the ground. The church of Bete Medhane Alem is thought to be the largest monolithic church in the world. 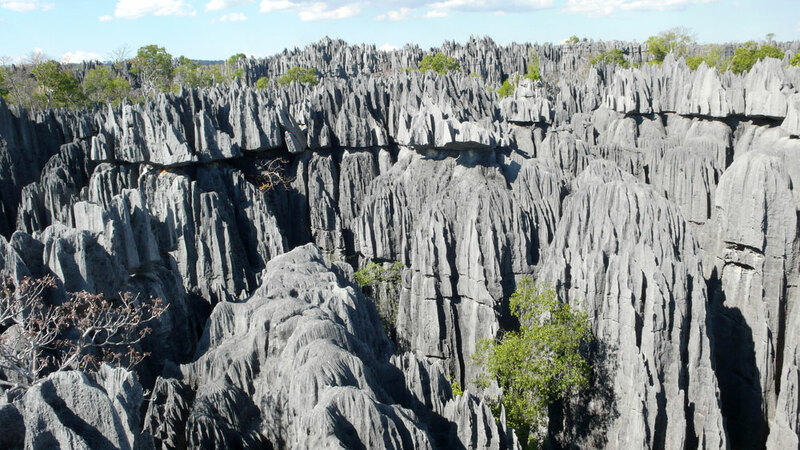 The Tsingy de Bemaraha Strict Nature Reserve and National Parks together comprise one of Madagascar’s most impressive UNESCO World Heritage Site. Set in the western part of the island, the site is famous for its jagged limestone towers and vertical “forest” of limestone pillars. Very dense and unbelievably sharp, the rock can make short work of flesh and equipment, making navigation difficult. The area is also host to a diverse amount of flora, birds, and lemurs. 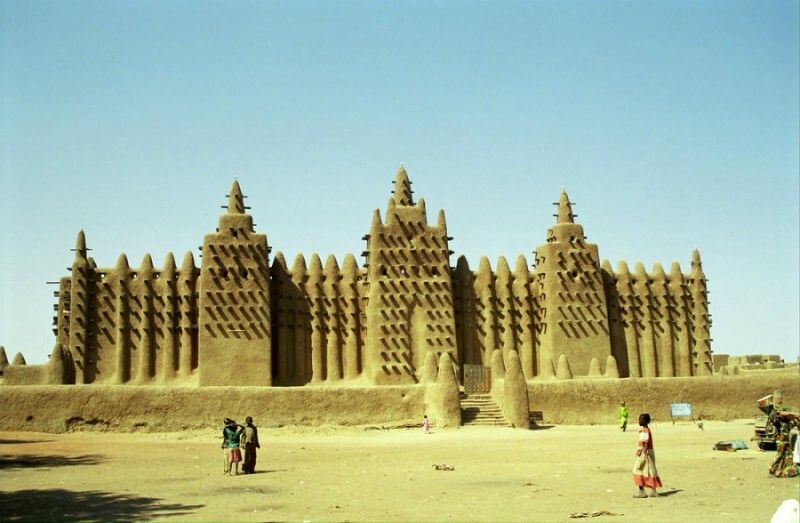 The Great Mosque of Djenne in conjunction with Djenne-Djenno (literally ancient Djenne) is one of the oldest continuously inhabited sites in all of sub-Saharan Africa. Closely linked with the history of Timbuktu, the Great Mosque is thought to be the largest standing mud architecture structure in the world and one of the best examples of Malian and Sahelian architecture. 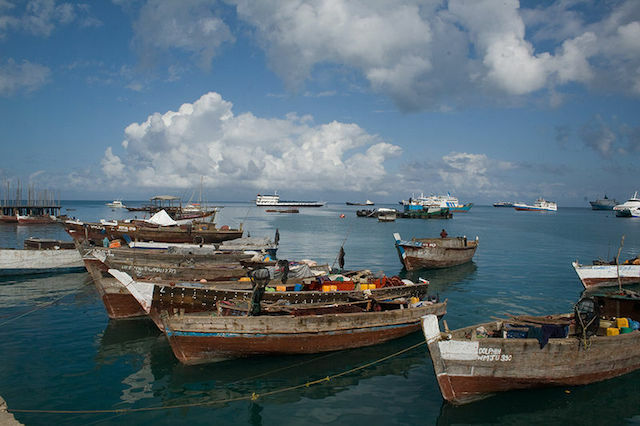 Once an independent sultanate that controlled the trade and wealth of a large swath of East Africa, Zanzibar is now known for tourists that flock to its idyllic beaches. Having an ancient history, the island has seen rule or influence by cultures as diverse as Arabs, Persians, Indians, Portuguese, and British. It is also one of the main bastions of Swahili culture and history. 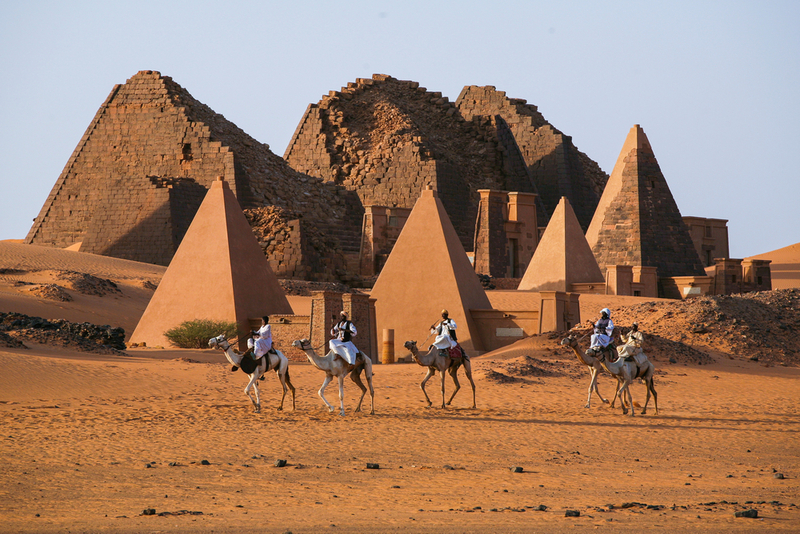 The Pyramids of Meroe are a more recent addition to UNESCO’s World Heritage book. Probably because of Sudan’s human rights record and sanctions. 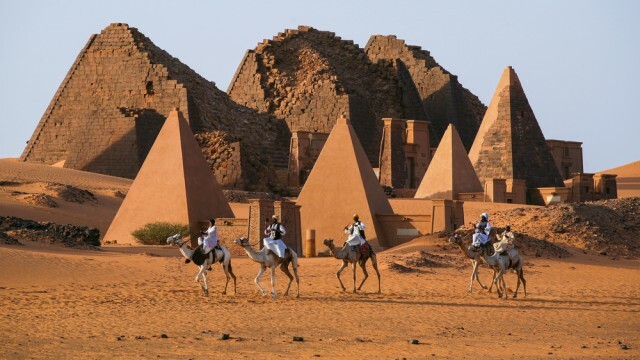 However, the capital of the ancient Kingdom of Kush was the seat of power for the black Nubian pharaohs. Part of the same system of religion and rule of ancient Egypt, the site is much less visited due to the difficulty and lack of tourists traveling in Sudan. If you make it, you will likely be one of the only visitors. One of the best parks for viewing wildlife in the world, the Serengeti is the safari park in Africa. Rolling plains of grassland in the savannah typify the landscape, and all the animals you would imagine can be found in its boundaries — zebras, giraffes, antelope, birds, lions, elephants, hippos, rhinos and more. 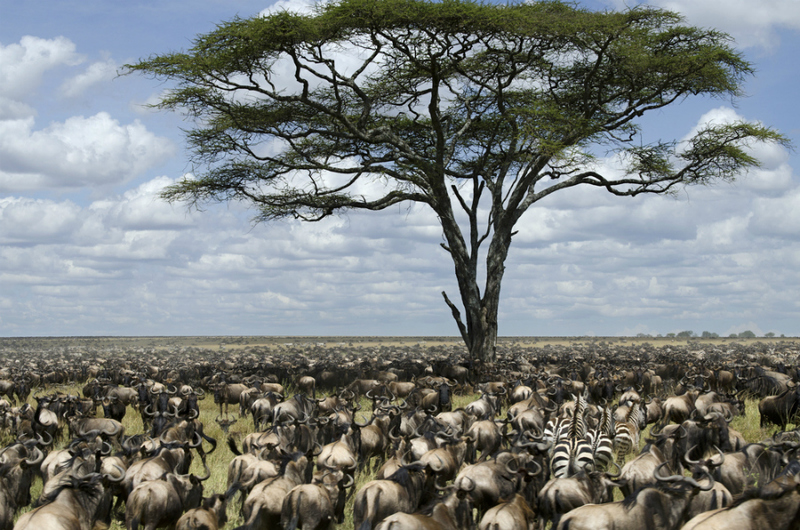 Meaning “endless plains” in the local Maasai language, the Serengeti has the largest terrestrial animal mammal migration in the world with its annual movement of millions of wildebeest. 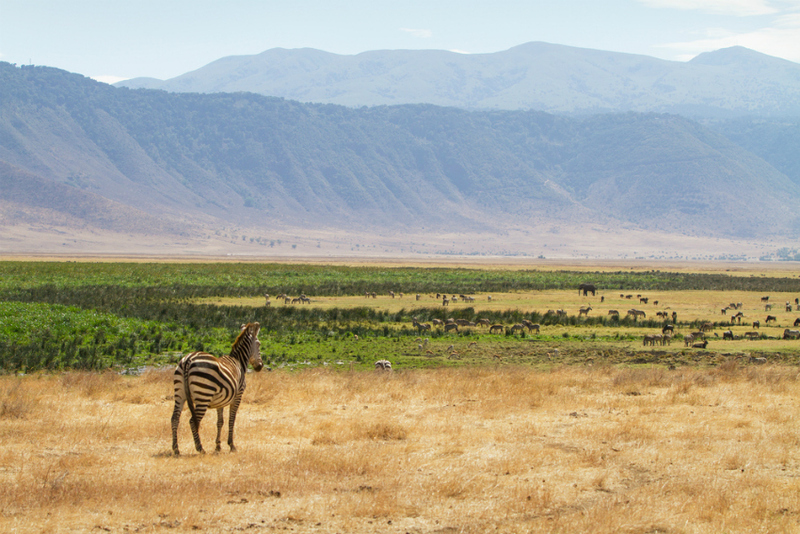 The Ngorongoro Conservation Area and Crater is yet another impressive UNESCO site in Tanzania. The crater is actually an ancient, enormous volcanic caldera, and tens of thousands of animals call it home. The Crater has one of the densest populations of lions in East Africa. Thousands visit the site every year and those with the money can stay in a luxury lodge inside the actual crater. 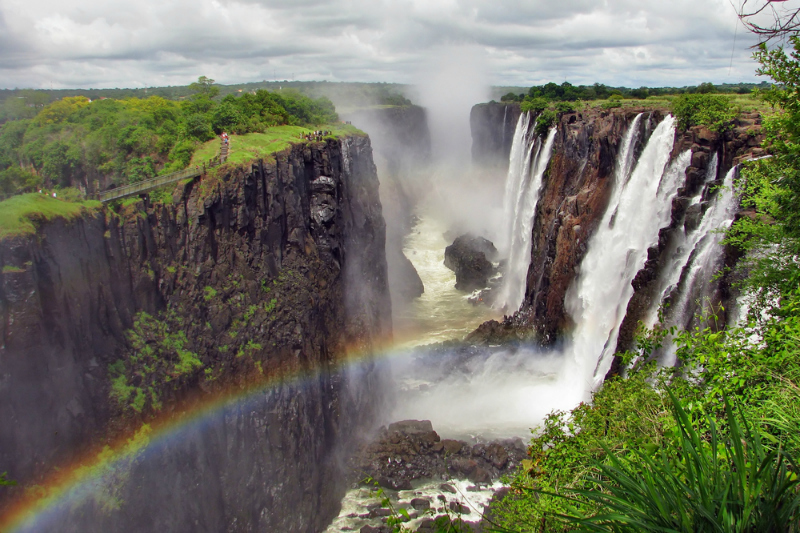 The mighty Zambezi River converges with the borders of Zimbabwe and Zambia to create one of the most beautiful natural vistas in Africa. Besides the majestic views from either side, there are multiple ways to experience the Falls — by boat, white water raft, canoe/kayak, micro flight, helicopter, and perhaps the most harrowing, by bungee or giant swing. There is also the option to swim in the Devil’s Pools, which come right up to the precipice. 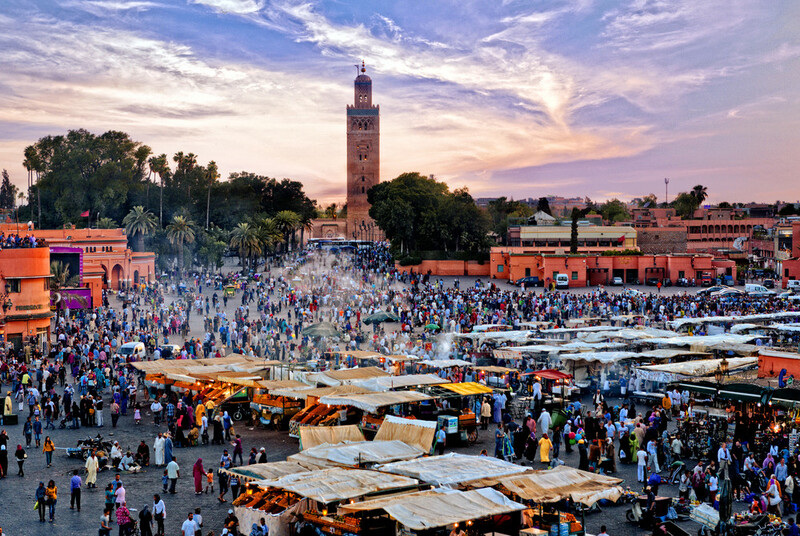 The timeless Medina of Marrakech is one of the most amazing World Heritage Sites in North Africa. The focal point is the Jemaa el-Fnaa, the world famous square and center of activity, trade, and culture in the city. From dozens of food vendors to musicians, vendors, touts with snakes and monkeys, all manner of sights, smells, and sounds vie for your attention when you step into the square, especially after dusk when the place really comes to life. 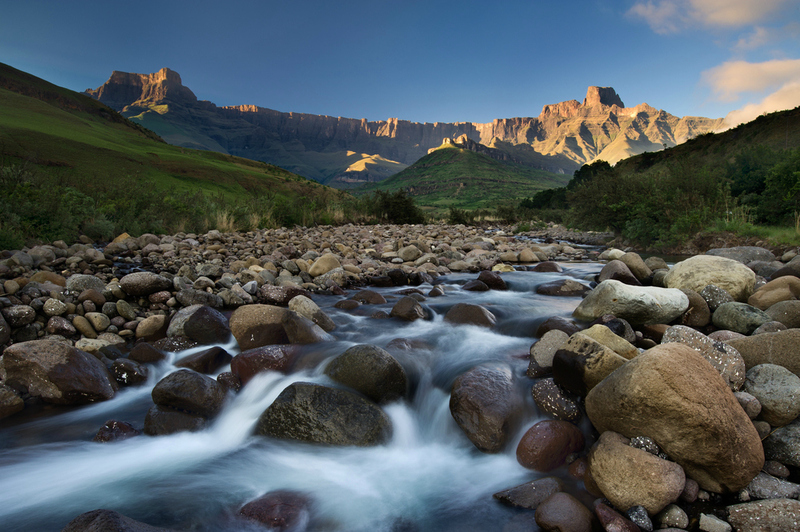 One of the rare UNESCO sites that is transnational, Maloti-Drakensberg Transfrontier Conservation Area encompasses the Drakensberg Mountain Range in South Africa and also Selabathebe National Park in the Kingdom of Lesotho. Featuring mountains, valleys, and sub-alpine ecosystems, the entire area is home to an amazing array of plant and animal life, some of which exist nowhere else in the world. In fact, the flora of the region has its own category in the plant kingdom. 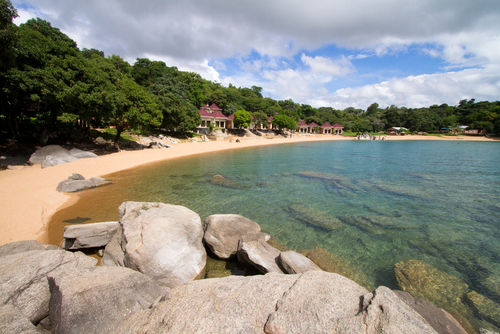 Lake Malawi is the main draw to the small country in southern Africa. The third largest and second deepest lake in Africa is hundreds of miles in length and home to some uniquely evolved aquatic life that can only be found there. Lake Malawi National Park also features an 800-year-old baobab tree said to be a favorite of explorer David Livingstone. 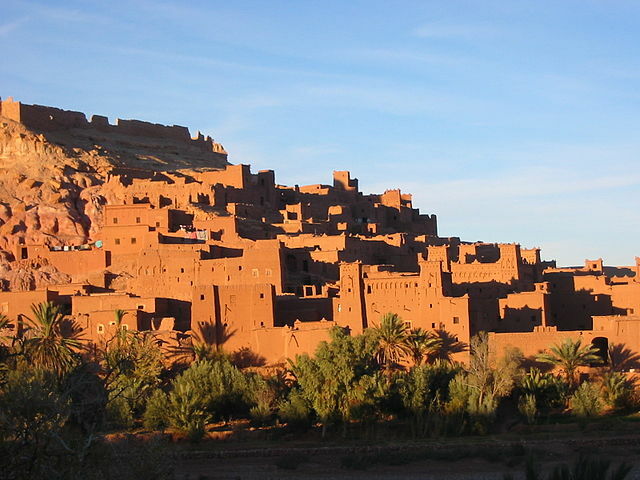 Appearing like a mirage out of the desert, the fortified city (or ksar) of Ait Benhaddou is one of Morocco’s most beautiful and imaginative UNESCO sites. An excellently preserved example of the mud adobe Kasbahs from hundreds of years ago, most of the families have moved to a more modern village on the other side of the river. Eight still remain and there are even two or three guesthouses located in the beautiful desert stronghold. 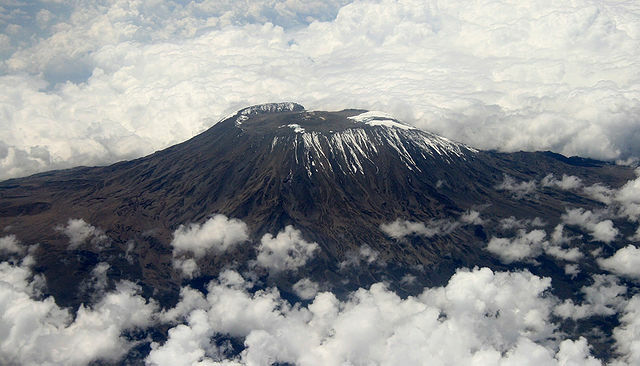 The highest mountain in Africa and highest free standing mountain in the world, Mount Kilimanjaro is second in fame only to Everest. It has been cemented in people’s minds as an integral part of the African landscape. Ernest Hemingway even wrote a famous story about it. Many come to conquer it and see the quickly receding glacier at its summit, one of only three glaciers in Africa. One of the most impressive, yet more difficult to reach, Virunga National Park is Democratic Republic of Congo’s most famous and oldest park. 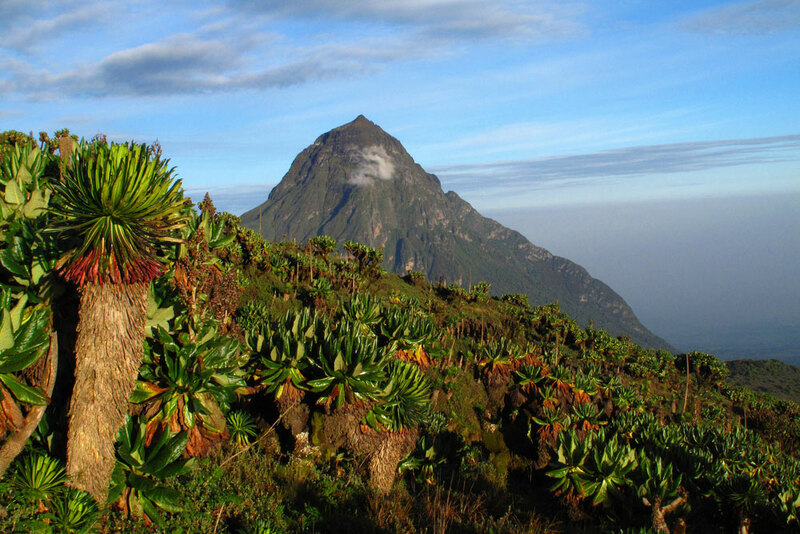 Created in 1925 by King Albert of Belgium, the park is a World Heritage Site because it is one of three places home to the last population of wild mountain gorillas. The volcano of Nyiragongo with the largest lava lake in the world is also within its borders. Constant rebel activity and instability has kept the park closed on and off for the last few years, unfortunately. This article was originally published on November 21, 2014.